In today’s agency world, it is critical to keep up with the latest technology in order to make the best marketing decisions and stay abreast of emerging opportunities. However, as busy as we all often are, it can be difficult to find the time to research this information ourselves. This is an opportunity to share noteworthy information, industry trends, funny videos, groundbreaking campaigns and brand new apps. Really, it can be anything that our employees find interesting. It also gives us a dedicated time to discuss how we could apply these new ideas to benefit our clients. And sometimes clients even attend! Fat Tuesday, er, Friday was born. Every February, in honor of Fat Tuesday, we always kick Spotlight up a notch. As the agency’s resident Louisiana native, it’s my job to provide an authentic experience for everyone. That means we’ll be feasting on hearty servings of Creole Gumbo, Jambalaya and Red Beans & Rice in between TechCrunch articles and Google Analytics news. This will be our 5th year of celebrating this tradition. And, in the past, I’d receive quite a few social media requests for my recipes. But there’s no way you just give away your family’s secrets, right? Well, this year, I’ve decided to share. Without further ado, here are my not-so-secret recipes for several N’awlins favorites. Please note these versions are of the Creole variety, not, ahem, Cajun. There is indeed a difference and it would take another post to explain. Just do a little Googling if you’d like to know more or shoot me a Tweet and we can discuss.  Of course, if you’d like to discuss our February Spotlight links, we can do that, too. Each of these recipes should yield 6-8 servings a piece. Mix seasoning blend and set aside. Slice sausage and set aside. Rinse, pat dry chicken and dice. In a large, heavy pot, add oil over medium heat. Add sausage and brown for 5 minutes. Add chicken and brown for 10 minutes more. Remove from the pot. Add in the peppers, onion and celery. Season with half the seasoning blend. Sauté for about 10 minutes or until they are soft. Add the meats back to the pot, then mix in the rice. Toast for about 3 minutes. Add remaining seasoning blend and mix well. Add broth, tomatoes and tomato sauce. Mix. Bring mixture to a boil, stir, making sure to scrape the bottom of the pot. Reduce heat to simmer, cover pot and cook for 25 minutes. After 25 minutes, stir mixture, cover and cook about 10 minutes more. Remove pan from heat and allow the Jambalaya to rest for about 10 more minutes. Discard the bay leaf before serving. Variations: I like to dice the sausage and brown in a cast iron skillet before starting the Jambalaya. If you have some time to spare, use whole chicken fryers. Boil the chicken in a large stockpot. When done, remove the chicken, let it cool, then shred. 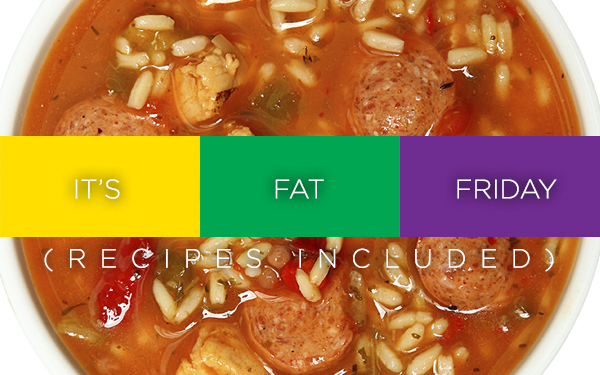 Use the stock in lieu of broth for a much more flavorful Jambalaya. Soak beans overnight using one of these methods. When you’re ready to begin cooking, brown the meat in a large, heavy pot. Remove and set aside. In the same pot, sauté the onions, celery, parsley and bell pepper until tender. Add the garlic and sauté for 2 more minutes, stirring occasionally. Add the meat back in, bay leaves, thyme, beans and cover with chicken broth. If needed, add fresh water so that mixture is a ratio of 1 part ingredients to 2 parts liquid. Bring the beans to a rolling boil. Lower heat and simmer for 1-2 hours, until tender. Stir often (do not allow beans to burn on bottom of pot!) and add water as needed. Keep your beans covered. Continue to simmer for 1-3 hours, until the beans are tender and creamy (continue to stir and avoid burning on bottom of pot). “Smash” beans with a wooden spoon to make them creamier. Add hot sauce, salt, pepper and/or Creole seasoning to taste. Serve over rice. Place chicken in a large stock pot. Reduce heat and simmer until cooked. Remove chicken and let cool. Set aside liquid. In a large, heavy saucepan, make a roux by whisking the flour and 3/4 cup bacon drippings over medium-low heat to form a smooth mixture. It is VERY important to use a heavy pan. Cook the roux, whisking constantly, until it turns a rich mahogany brown color. This can take 30 to 40 minutes; watch heat carefully and whisk constantly or roux will burn. Remove from heat; continue whisking until mixture stops cooking. Place the celery, onion, bell pepper and garlic into the roux. Mix in the sausage. Bring the mixture to a simmer over medium-low heat, and cook until vegetables are tender, 10 to 15 minutes. Remove from heat and set aside. Transfer the liquid from your stock pot into a large Dutch oven. Bring to a boil. Whisk the roux mixture into the boiling water. Reduce heat to a simmer and mix in the sugar, salt, hot pepper sauce, Creole seasoning, bay leaves, thyme, diced tomatoes and tomato sauce. Simmer over low heat for 1 hour. Mix in okra, crabmeat, shrimp, and Worcestershire sauce. Simmer until flavors have blended, or about 45 more minutes. Just before serving, stir in 2 teaspoons of file gumbo powder. Serve over a scoop of white rice. Top with chopped green onions and hot sauce for more kick.